Indeed, we’re all familiar with the deleterious effects of UVB wavelengths, those that cause sunburns and induce DNA damage, potentially resulting in skin cancers. And we’re also familiar with a major benefit of sunlight—the ability to kick off the chemical and metabolic chain reaction that produces vitamin D, which plays a major role in the immune response. Less known is the ability of sunlight to energize T cells, an essential component of the immune system. T cells produced during the adaptive immune response access body surfaces, including the skin, to protect against invading pathogens. 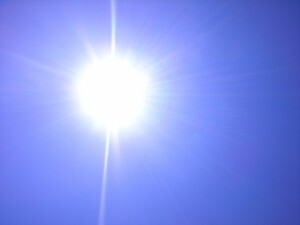 It is in the skin that T cells could be exposed to sunlight. The finding of sunlight’s effects on T cells is relatively recent—it was published a few months ago in the journal Scientific Reports. The study (Intrinsic Photosensitivity Enhances Motility of T Lymphocytes), which was carried out in mice and humans, shows that low levels of blue light, found in sun rays, increase the motility of T cells. In other words, it makes T cells move faster. The increased T cell motility is driven by a signaling pathway activated by the synthesis of hydrogen peroxide. Hydrogen peroxide is a compound released by white blood to kill invading pathogens and mobilize other immune cells, including T cells. The researcher conclude that T cells are a new type of photoreceptive cell and their photosensitivity may contribute to the effects of sunlight on immune function. Ahern said that there is much work to do to understand the impact of these findings. However, he suggests that if blue light T cell activation has only beneficial responses, it might make sense to offer patients blue light therapy to boost their immunity. Sunlight and its effects are indeed implicated in both positive and negative effects on the human body. Individuals who avoid the sun tend to suffer from issues stemming from low levels of vitamin D leading to a myriad of issues such as muscle weakness and fatigue. Also, overexposure to sunlight has been implicated in issues such as mutations and DNA damage leading to cancer (1). Thus, from this information and from what was said in the article, is there some sort of perfect balance in terms of sunlight exposure? For example, is there an ideal range of sunlight exposure that would lead to significant T cell motility while avoiding any of the serious risks brought on by overexposure to sunlight and uv rays? I believe that future research should delve into such questions more deeply. Also, another interesting point not addressed in the paper is the effect of sunlight on other immune cells. For example, do other immune cells such as macrophages or B cells have their motility significantly affected by sunlight? If so, it would be an interesting idea and possible therapies involving sunlight could be proposed to individuals who are suffering from poor immune cell responses due to a lack of energy or motility predicaments. As a kid growing up, I remember my mom making me go and sit outside in the sun for a bit when I was sick. She would tell me, “This will make you feel better. Laying in bed and being cooped up inside can only help you so much.” It is amazing to see how little things that my mom did to help heal me as a child is now backed up by modern science. According to “Ultraviolet Radiation and Immunology: Something New under the Sun – Presidential Address,” UV radiation can change immunological responses which will affect the “hosts resistance to infectious diseases.” While testing skin cancers on mice by exposing them to UV-B radiation it was noted that when they transplanted the tumor into a healthy mouse the immune system of the healthy mouse rejected the tumor transplant and the tumor was destroyed. It is suggested that DNA damaged caused by UV radiation causes specific immunosuppression. One pathway could be from damaged skin cells releasing cytokines. Since UV radiation can either increase the immune response or suppress it, the question of can we use UV radiation help immune compromised or suppressed individuals is being raised. I think this would be an incredible way to help immunocompromised individuals since medications can cause severe side effects. I’m not saying that they stop taking medications but if we could find a way to help improve their immune system, so they don’t have to be on antibiotics constantly would be incredible. 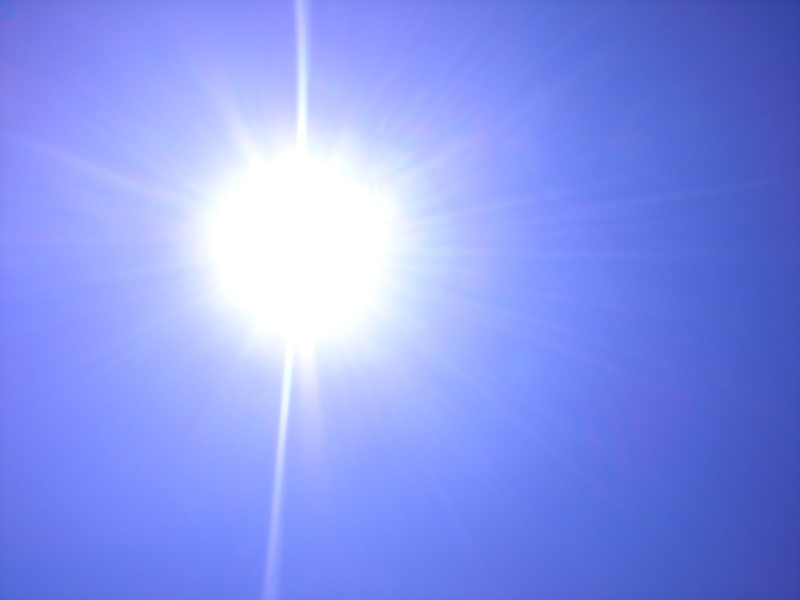 “Ultraviolet Radiation and Immunology: Something New under the Sun – Presidential Address” also suggested that through the use of UV radiation certain immune responses could be stimulated to decrease the likelihood of organ transplant rejection. People usually view the effects of UV light on the immune system negatively such as contributing to skin cancer as described above. The discovery that sunlight increases the motility of T cells will transform the way that phototherapy is used. In a study by Schweintger et al., it was found that photohardening therapy could be used to increase T cell number and function in patients with polymorphic light eruption (PLE) allowing them to better tolerate sun exposure. The T cells of patients with polymorphic light eruption “have an impaired suppressive function” and the researchers suggest that increasing T cell number may aid the immune system in reducing PLE formation. Although the study presented in this post deals with T cell motility, I would like to raise the question: Could the blue light therapy presented above be beneficial to PLE patients or others with photosensitive disorders? Exposing our bodies to small amounts of sun allows us to obtain Vitamin D which is known to be beneficial to our health. However, that is not the only benefit that we can acquire from the sun. Now a new method known as phototherapy is used in order to fight skin diseases. In the article “The symbiosis of phototherapy and Photo immunology” a study was done to demonstrate how phototherapy uses ultraviolet radiation (UVR) as a treatment for skin diseases. This study showed that UVR does in fact activate T cells found in human skin, and the release of ATP by keratinocytes. The T cells present among keratinocytes allow for only a limited amount of DNA damage that can be caused by UVR. This study also showed that a mouse that was once treated with UVR for a specific allergen could not be exposed to that same allergen weeks after. This finding allowed for the conclusion that UVR can create a long term antigen specific immune reaction as mentioned in the article “The symbiosis of phototherapy and Photo immunology”. What was found in this study, was the ability for UVR to be able to suppress the immune response in order to help fight certain human diseases. However, the actual mechanism of how UVR effects certain skin problems and the actual skin itself is still unclear. I feel like more research should be done before this treatment is implemented in severe diseased patients. We receive enormous sunlight every day. It’s obviously that the sunlight has negative and positive impacts on the human body. The sunlight produces a huge amount of energy. Melanoma is one of the most deadly skin cancers. A study illustrated that sun exposure would reduce the risk of melanoma. UVA radiation could impair the skin cells DNA, and has an effect on the immune system through increasing tolerance, but how does it increase this ability of cells? Also, the sunlight will help the production of vitamin D that can make our bones stronger. Many pieces of evidence can support that in early life, the status of vitamin D may decrease the risks of autoimmune diseases. In addition, the UVR will increase the proopiomelanocortin (POMC) gene expression that will cause the production of beta-endorphin, and the adrenal glands’ production of cortisol which is a modulator in the immune system. So, what are the best amounts of sunlight we received every day can help us to build our body? More exposure to sunlight is a controversial topic due to its advantages and disadvantages for the immune system. T-cells are not the only immune cells that play a role in our adaptive immunity that are affected by an increase exposure to sunlight. According to a relatively recent article, dendritic cell presentation to T-helper cells can be inhibited by the active form of vitamin D. It reduces the costimulatory expression and can reduce an inflammatory cytokine storm (1). As a result, the risk of autoimmune diseases is reduced. In contrast, certain amounts of the active form of vitamin D causes a negative effect on B-cells in which it decreases antibody production (1). The article also mentioned that the active form of vitamin D promotes the development of T regulatory cells rather than the T-helper cell type-1 and 17. T-helper cell type-1 play a role in activation of macrophages and T-helper cell type-17 plays a role in the production of IL-17 that induces inflammation. In a different study, it has been discovered that sunlight has its benefits for macrophages in our innate immunity. Certain levels of active form of vitamin D causes activation of toll like receptors of macrophages and an increase in gene expression of genes that play a role in phagocytosis (2). Sunlight is very important for our survival against pathogens but sunlight exposure should be limited to prevent any damage in our immune system. Kenya, you made some very compelling points about just how sensitive the immune system can be to the levels of Vitamin D and its potentially beneficial and harmful roles. In addition to helping with phagocytosis, a study done by Klug-Micu and colleagues also showed another beneficial function for Vitamin D. They found that when the Vitamin D pathway was activated by CD40L ligand and interferon-y can cause a boost in the expression of natural antimicrobial peptides. They believe that with the activation of the Vitamin D pathway, a therapeutic way to boost the immune system’s defense against intracellular pathogens such as M. tuberculosis can be used in addition to any antibiotics. Although the effects of UV exposure via sunlight on humans has been studied thoroughly, it has not been proven fully that this exposure is the sole cause of skin tumors and cancers. In a study conducted a few months ago, it aimed to prove the relationship between “sunlight exposure and protection from some, but not all cancer types” (1). This research states that sunlight, rather than solely Vitamin D, has been proven to provide protection from multiple sclerosis, asthma, cardiovascular disease, and even cancer. Especially in cancer patients who tend to be vitamin-D deficient, it is believed that this deficiency is not a cause of cancer but rather a result of the cancer. It has not been proven, however, that vitamin-D supplements aid in cancer prevention or treatment. Increased sunlight exposure is not recommended but research into vitamin D-independent mechanisms may allow for better understanding of the effects of sunlight on a range of diseases. Could sunlight, not vitamin D, aid humans in certain ailments such as cancer? Is it possible to isolate sunlight exposure from vitamin D-dependent mechanisms? Sunlight has been known to have its effects on the human body, whether good or bad, we need a good amount of Vitamin D to nourish the body. I am very curious about this article as I never thought of the effects of sunlight on a molecular level. What I found most interesting about this blog was the idea that not only can Vitamin D cause T cells to “work” faster but that vitamin D may also have other effects on the immune system, particularly on the innate immune system. A study by Ramos in 2015 showed that increasing vitamin D in pregnant women with urinary tract infection caused by E. coli can ultimately boost the immune system and form a way to protect from infection. This can correlate to the fact that increase levels of Vitamin D or sunlight within these pregnant women can transmit to the T-cells being more “active.” Which leads to ask the question, why does an increase in vitamin D cause such drastic changes in the immune system? I wonder how the blue light therapy would be applied. Will the patient be placed through a machine for a certain amount of time? It is very good that they made this discovery, but like the article has stated, the are many negative effects when it comes to dealing with large amounts of UV rays. Maybe the therapy will have a solution to that problem. It is surprising that T cells are photoreceptive. As mentioned in the article, this signaling pathway is initiated by the synthesis of hydrogen peroxide, which also participates in many other signal transduction pathways. For example, hydrogen peroxide, when used in certain concentrations, can induce phosphorylation of the proteins that are phosphorylated upon antigen stimulation in B cells (1). Since hydrogen peroxide involve in signaling in other immune cells, is it possible that other immune cells also can directly react to light? Hydrogen peroxide is an important messenger in lymphocyte activation (2). 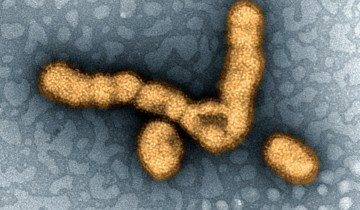 Considering some immunoglobulins themselves are hydrogen peroxide-generating enzymes, is it a connection between the generation of hydrogen peroxide stimulated by the sunlight and the hydrogen peroxide production of the immunoglobulins? Moreover, hydrogen peroxide is unstable and usually only acts on the site of production, but signaling pathway always bring about further effects. 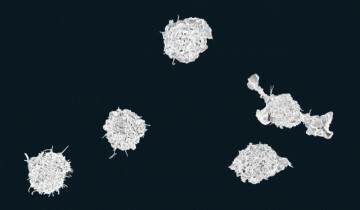 The oxidative burst in macrophages can activate neighboring cells. Although there is a large difference between T cells and macrophages, will T cells that stimulated by sunlight and generate hydrogen peroxide be able to influence other neighboring immune cells? More research is needed to develop this discovery. The relationship between sunlight and vitamin D is well known, and this new research brings one more good news. It is not uncommon for scientific studies to have contradictory findings. Since sunlight is composed of many different wavelengths, both negative and positive results of its effect have been documented. Sunlight is also blamed for skin cancer and slowing down of innate immune system. In another study, lack of exposure to sunlight was found to increase all-cause mortality, which makes me a little skeptical of the usefulness of this kind of findings in real life. Researchers often take into consideration only the small factors directly related to question of study and report obtained may be of little benefit. It is important to further investigate the relationship between sunlight and its holistic effect on human health. Regarding the blue light mentioned in the study, is it only found in sunlight? If so, then experiments should be designed to compare the rate of t-cell motility in people who get an adequate amount of sunlight and people who work indoors mostly and have inadequate exposure to sunlight for an extended time, which may give more conclusive results. We all know the harmful effect of too much sun exposure. But it is also detrimental to have little to no sun exposure, especially for the elderly. It is familiar that sunlight help wit the production of vitamin D, which is associated with healthy bone, heather mood, and cognitive function. All these benefits are much needed because as you get older your loose bone structure and the decrease in brain activity. Sunlight is also linked to the secretion of melatonin, which is associated with improved physical and social activity and improvement of sleep quality. Much of the elderly in retirement homes don’t receive enough sunlight because most of their operations are done indoors. I find this article to be very surprising because I have always learned that sunlight is, essentially, damaging to human exposure. Though vitamin D from the sun is a beneficial attribute to our bodies, the detrimental effects do not seem to be worth the trade-off. However, this article shows that this particular blue light wavelength does, in fact, have an effect on T-cells in the human body by increasing their speed to move faster towards effected areas in the body during pathogen invasion. 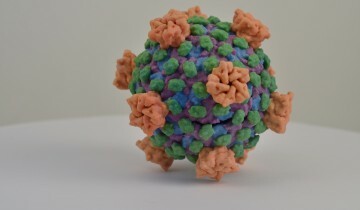 The attached experimental article explains how T-cells actually do react to photos receptors. With this, blue-light irradiation effects T-cells by encouraging T-cells to make hydrogen peroxide which in turn, enhances movement. I am looking forward to see how effective blue-light therapy could actually be to immunocompromised patients that already have a weakened immune system response, such as HIV-infected patients. Since they are bound to loose T-cells, will blue-light therapy slow down the progression of the cell deaths caused by the virus if these T-cells are attacking the pathogens faster? Will this be able to add more years to the life expectancy of these patients? Everything done excessively can damage oneself and this is demonstrated in this article and the excessive sun exposure is one of them. We see that it causes cancer but when done in moderation it also has a beneficial component to it. From our parents, we had learned at a very early age that the sun was good for strong bones but missed on the part introduced in this article being the energization of T cells. T cells move faster to needed sites of infection when one is exposed to blue light found in the sun rays which a great factor in our immunity. The later discussed benefit does not stop at T cells but also is present in macrophages. In the article “Day-night variability in acid phosphatase activity of pineal gland macrophages”, the authors of this article discuss the macrophage functional activity variation over the light-dark cycle, in other words the macrophages phagocytic activity increased from the dark to the light transition in the pineal and retina of fishes. Now that we know this, I wonder if the blue light of even any other component in the sunlight can be used not only to boost our immune system but also to combat skin cancer. It is obvious that ultraviolet radiation from the sun can be either beneficial or deleterious. UV rays are negative because they contribute to skin cancer and are positive because it produces vitamin D. Now that it has been found that sunlight helps the T cells of our immune system, is it possible that other adaptive immune system cells are also benefited? In a different research article, researchers found that B cells activated by UV played a significant role in experimental autoimmune encephalomyelitis (EAE) in mice (1). Results found that it helped with prevention of autoimmune attack on the central nervous system and other inflammatory cells in the immune system. Although more research is required to understand how UV helps with the immune system, hopefully more advantages of the sunlight on our health are found. B cells are required for sunlight protection of mice from a CNS-targeted autoimmune attack. Blue light therapy has many positive effects on the human’s body. It is already being used in lasers to treat acne and acne scarring1. Blue light therapy can be carried further to be used in boosting the immune system and help it in protecting the body from many diseases. However, further studies and researches must be conducted prior to considering it as an effective treatment. The further researches must take UV-R in consideration due to its adverse negative effects on the immunity. According to a study that was done in 2016, UV-R has the ability to suppress the adaptive immunity which may in turn lead to many diseases2. Only recently, I was diagnosed with Vitamin D deficiency causing me fatigue and muscle weakness, so I was suggested by my doctor to be more often under the sun because it will help with the deficiency and my immune response. Seeing a study done in regards to this makes me feel happy. It is true that sunlight has always had both deleterious effects and benefits such as in my case, but I don’t know about offering blue light therapy to patients to boost their immunity because everyone responds differently to interaction with sun. 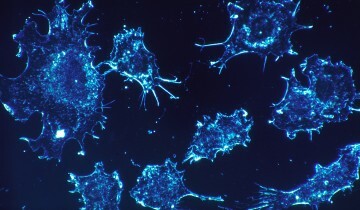 However, in a recent article called “Differential immunological effects of infrared irradiation and its associated heat in vivo.”, they suggested that infrared irradiation induced differential immunological responses, and found that compared to heating alone, IR causes an enhanced activation of epidermal Langerhans cells, both in epidermal sheets and in draining lymph nodes. The activation of draining lymph node cells by anti-CD3 antibody in vitro induces both Th2 and Th1, but not Treg immune responses. This study showed that without heat, Infrared irradiation will modulate the responses in vivo, but might on the other hand regulate host immunity in a heat-independent manner. Overall, suggesting light therapy to patients could be a benefit to their immune system. The article was fascinating to me because I know the exposure of UV rays can cause damage to your skin, but also provides an essential vitamin D to your body. Sunlight is known to have both beneficial and negative effects on the body. Too much sunlight can have a detrimental effect on your body and can cause the development of malignant tumors due to skin cancer. I was also unaware that T cells could be energized with the sunlight, allowing them to move much faster in response to an infection. With an increased rate of motility, further study on the subject matter could allow for the development of artificial sunlight mechanisms to increase response times of T cells, but decrease the negative effects caused by it. A 2016 study about the Sunlight Effects on the Immune System stated that high levels of sunlight suppress the ability of the immune system to efficiently detect and attack malignant cells. Furthermore, after UV exposure, B cells are also activated with the number and suppressive action in the lymph nodes increasing. The study conducted in the article attempted to learn more about the photo immunology and how small doses of UV exposure can benefit the immune system. The study carried out UV irradiation on hairless mice by giving them very low doses (20 mJ/cm2) four times a week. Twenty-four hours following the exposure, the mice were tested their innate immune system with a parasite, a challenge in which they developed a significantly smaller lesion than those that had not been treated. The study only tested the effectiveness of the innate immune system, with much being unknown on how certain therapies would alter the adaptive immune response.